Most pieces of crown are available in sixteen feet length; almost any home has walls that are longer than that, and would require seaming two pieces together in order to form one continuous piece. The most common places are the living room, Family room, Hallways, and Master bedroom. Seems like that appears everywhere we go, and the following pictures will show that the seams appear on every crown molding we encounter…. from high end restaurants, through hotel lobbies, building hallways and to your home. At San Diego Molding we mind, and we believe that you as a customer mind. And would appreciate seem free crown molding installation. The following example is one of many we encountered. This is a Model home of one of the builders in San Diego. 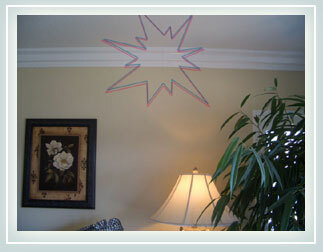 At first glance, the crown molding appears flawless, but as you walk in the room…. An unsightly seam in the molding becomes visible. In most crown molding work, seams like this are often regarded as unavoidable. However, we would like to offer you something better. 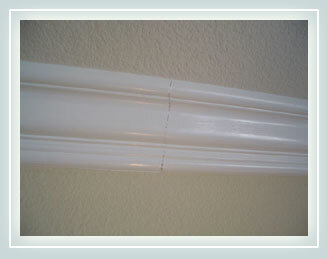 We are able to offer you seamless™ crown molding. Within months of the installation, seams like this begin to crack and separate, worsening the problem. Luckily, this is avoidable. Currently, we are the only company offering seamless™ crown molding. 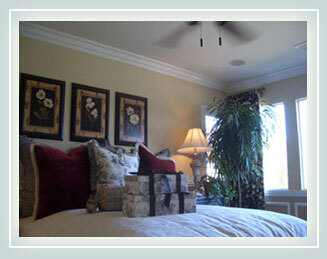 Copyright © 2006 San Diego Molding INC. All rights reserved.